This month The Diplomatic Society Global Editor Srimal Fernando sat down for an exclusive interview with Professor Shaun Star, an Assistant Professor and Assistant Dean (International Collaborations) and Executive Director of Centre for India-Australia Studies at, O.P. Jindal Global University (JGU) in India . In this interview Professor Star speaks about the positive role played by the Centre for India-Australia Studies. SS: While I was born and brought up in Australia, I have been living and working in India for almost a decade. During this time, I have worked in a variety of law firms and for the past three years have been working as an academic at O.P. Jindal Global University. Since moving to India in 2010 aided by an Australian Government grant, I realised that more young Indians and Australians should have the opportunity to learn about (and experience) each other’s countries. I have since worked actively in the Australia-India space to help facilitate such opportunities for others. Indeed, in 2010 I co-founded the Australia India Youth Dialogue (www.aiyd.org) with a few colleagues, and it has since turned into the premier track-2 dialogue for young distinguished leaders from both countries and an important forum in the context of the bilateral relationship. In addition, I have written a number of articles on the Australia India relationship and published an edited volume comparing the Australia India legal systems. Three years ago, I founded the Centre for India Australia Studies (www.cias.edu.in) which is based at O.P. Jindal Global University (JGU). The Centre for India Australia Studies (CIAS) is the first and only Centre with a focus on the India-Australia bilateral relationship that is embedded in an Indian Higher Education Institution. We are delighted to have hosted hundreds of Australians in India since the inauguration of the CIAS, and are building awareness of Australia in India, and fostering strong ties in the bilateral relationship. SF: You have been the Director of the Centre for India Australia Studies, at O.P. Jindal Global University (JGU), for many years. From the point of view as Director, what is your assessment about the Centre for India Australia Studies? What opportunities do you see for diplomats, academics, students and entrepreneurs from this Center? SS: Encouraged by the growth of the bilateral relationship at a Government-to-Government level, the CIAS hopes to encourage other stakeholders to embrace the India-Australia relationship. The India Immersion Programme, which is a 3-week residential programme which aims to introduce Australian students to the many different facets of India. The course is funded by the Australian Government’s New Colombo Plan Programme and allows students to participate in seminars, lectures and field visits with leading academics and professionals from a variety of industries. It provides its participants with an introduction to India’s diverse regulatory, business and social impact landscape. To date, the CIAS has hosted approximately 100 students from 7 universities on a variety of short term programmes. Many of the students have returned to India for internships or longer-term study-abroad semesters after the completion of the programme. The Internship Programme run by the CIAS has placed numerous Indian students in firms and Government departments, such as the Commonwealth Attorney General’s Department in Australia. In addition, a number of Australian students have completed work experience in organisations in India. This allows students to gain valuable insight into how business is done in the other country. Distinguished public lectures, joint conferences and roundtable discussions have been hosted in Delhi and at JGU. Guests ranging from former Prime Ministers, High Commissioners, Vice Chancellors, scholars and CEOs have discussed wide ranging topics that impact Australia, India and the bilateral relationship. This has provided JGU students and faculty in particular with a deeper knowledge of Australia and the growing bilateral partnership. The CIAS launched the Australia Studies course in 2019 to give students the opportunity to learn more about Australia law, business, society and culture. In its first installment, the course is being run as an elective unit at JGU and has been oversubscribed by students who want to learn more about Australia. Each of the above programmes are encouraging various stakeholders in the bilateral relationship to engage in discussions, research, and build people-to-people links across the Australia-India relationship. SF: What in your view has been the most challenging situation that you had to handle so far in your present capacity? SS: The biggest challenge thus far has been creating awareness and serious interest about Australia in India. While this interest has been growing at a Government-to-Government level, the same is not true in business, academia, and amongst students, although there has been recent and growing interest. We hope that the more meaningful debate, high profile events and discussion, and practical educational and work experience opportunities that we host, the more young Indians will become interested in learning about Australia. This has certainly been our experience thus far. The Indian diaspora in Australia is large and it is growing. Organisations such as the Australia India Institute and the Australia India Business Council are promoting India in Australia to varying stakeholders. There is plenty of scope for similar institutions to exist in India, to encourage greater awareness and engagement in the bilateral relationship. This is a challenge the CIAS is embracing with open arms. SF: I have a question for you, primarily on the state of relations between India and Australia? SS: The India Australia relationship is emerging as a significant bilateral engagement, encouraged by the convergence of interests between the two nations in areas such as education, regional security, energy and resources, and international trade. Australia and India share many things in common. Both countries share a common colonial history and are part of a changing landscape within the Indo-Pacific region. The current geopolitical framework has been the catalyst for stronger ties in recent times. In addition, shared democratic values, a common love for sport, as well as economic and strategic interests make Australia and India a natural fit for collaboration and cooperation. Since Prime Minister Modi’s visit to Australia in 2014, the first official visit by an Indian Prime Minister for over 28 years, the relationship has been growing. Over the past five years, both governments have come to recognise that the Australia-India relationship needs to be at the forefront of international partnerships. There have been numerous visits by Australian Prime Ministers since Modi visited Australia. In addition, in November 2018, the President of India, His Excellency Ram Nath Kovind, visited Australia, marking the first ever official state visit by an Indian President to Australia. While strategic interests seemed to have fueled strong ties between New Delhi and Canberra, the Australian Government has also recognised the importance in encouraging deeper economic ties between the two countries. Highlighting the importance (and the potential) of the economic relationship was the release of the Varghese Report in 2018. The Report was commissioned by the Australian Government in 2017 and was entitled “An India Economic Strategy to 2035: Navigating from Potential to Delivery”. Its release has renewed interest within Australia’s top tier media about India’s growing economic, social, and political power and the implications for Australia. Shortly after the release of the Varghese Report, the Indian Government also emphasised the importance of the economic partnership with Australia and acknowledged that it had commissioned a comprehensive economic strategy on Australia, and appointed Ambassador Anil Wadhwa as Chairman of the Confederation of Indian Industry task force. In addition to strategic and economic ties, the importance of soft power and cultural diplomacy cannot be underestimated. The growing Indian diaspora, the growth of tourism and education, strong linkages in sport, film and arts are all important facets of the growing bilateral relationships. In addition, numerous organisations, which are independent of the government, have a mandate of growing the Australia India relationship in years to come. Accordingly, numerous signals point to the Australia India relationship growing from strength to strength in years to come. SF: The bilateral trade between India and the Australia has seen a marked improvement in recent years. What role does your Center play to improve these trade relations further? SS: As mentioned earlier, creating awareness and facilitating an exchange of ideas about issues impacting Australia, India and the bilateral relationship is an important role that the CIAS can play. In addition, fostering people-to-people links through student exchange, immersion programmes, internships and joint academic conferences will have an indirect, and often an organic impact on the state of the Australia India relationship over the long term. While these activities may not have a direct impact on the bottom line of the trade relationship, we hope that deeper engagement and stronger ties among different stakeholders will help to enhance the bilateral relationship overall. SF: Trade alone does not create a mutuality of interest. A strategy to reassess International student exchange programs in their respective nations is a way forward to strengthen these bonds. Please feel free to share your thoughts on this? SS: A holistic and long-term view of the bilateral relationship is important. Keep in mind that the majority of India’s 1.3 billion population is under the age of 25 years old. As such, it is the youth of India that will drive growth not only in India but in the Indo-Pacific region. Accordingly, education institutions have a critical role to play in not only educating young India but also making sure that the next generations are engaged internationally. While the demographics are different in Australia, the message remains the same – young Australians need to engage more with Asia. 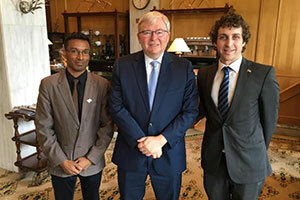 The Australian Government has implemented policies to reflect this and have provided generous funding for the New Colombo Plan (NCP) scholarships which allow Australian university students to complete short term study programmes throughout Asia. India is one of the most popular destinations under the NCP for Australians with more than 600 students scheduled to come to India this year. 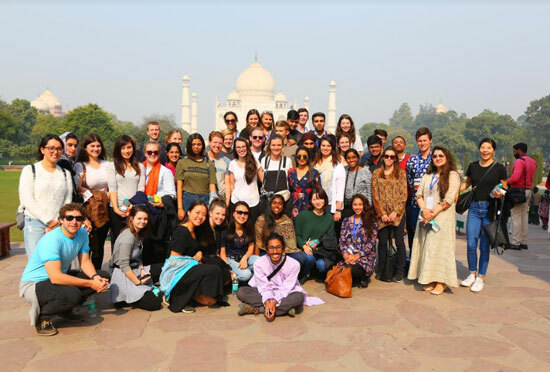 Far fewer Australian students come to India on semester length exchange, but the fact that more students are coming for an immersion experience is a positive sign. Meanwhile there are currently more than 60,000 Indian students enrolled in Australian universities. These numbers have been steadily increasing in light of circumstances in the USA and UK. In addition, there is strong demand for semester exchange among Indian students for placements in Australia. A long term view of the Australia India bilateral relationship would encourage stronger people-to-people links, especially between the young people from both countries. As such, the growth in international student exchange and short term mobility programmes are an encouraging sign. That being said, there is still plenty of room for growth in this area. In addition, education institutions have a key role to play in creating awareness about Australia and India, encouraging joint research (and publication) between the countries and facilitating dialogue between the different stakeholders in the bilateral relationship. 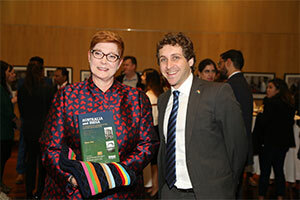 Education will act as one of the pillars of the Australia India bilateral relationship for years to come. Srimal Fernando is a PhD Research scholar at Jindal School of International Affairs (JSIA), India and a Global editor of The Diplomatic Society for South Africa. He won the 2018/2019 Best Journalist of the year award in South Africa.